for more information or give us a call on 01776 707010. The open-plan living area at Rosebank Holiday Cottage overlooks the garden to the rear of the cottage. 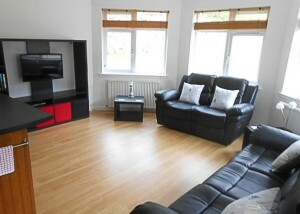 The living area has comfortable leather sofas, modern furnishings, a family sized dining table and Freeview TV and DVD. There are books and games and a wealth of tourist and local information to help you plan your days out. Rosebank is centrally heated and we provide unlimited WIFI broadband. At Rosebank we provide hotel quality duvets, pillows and Egyptian cotton towels, one bath sheet and a bath towel are provided per guest. We provide hand towels and hand soap in the bathrooms. 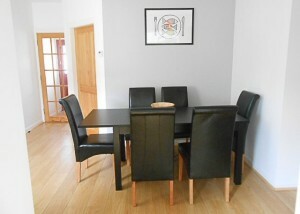 There are two double bedrooms with neutral decor and comfortable furnishings. 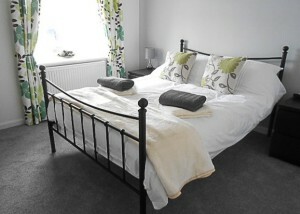 One of the double bedrooms has its own en-suite bathroom with shower cubicle, WC and hand wash basin. The third bedroom has bunk beds and is perfect for children. We provide a hairdryer and clock radios too. For younger guests we can provide a high chair and travel cot(s). Outside, to the rear of Rosebank is a large secluded garden on two levels accessed directly from the living area. 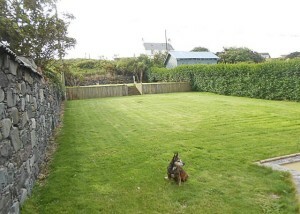 Our garden is secure and is perfect for pets and children. There are steps to the top level with a picnic table and benches. 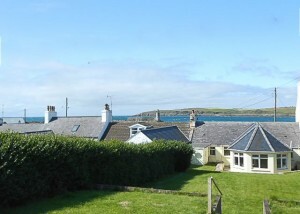 Here you can enjoy a wonderful view of the sea and Port Logan Lighthouse. With a glass of wine, the fresh sea air you can relax and watch the sun setting over the sea – just what holidays are all about. There’s a useful, secure outhouse where you can store sporting equipment and clothing and you can bathe sandy dogs after a fun day on the beach. You will also find a freezer and a washing machine in the outhouse and we have facilities for outdoor drying of laundry. There is private off-road parking to the front of Rosebank and the beach is just yards away from the front door. Port Logan is a popular holiday destination in this tranquil and beautiful corner of South West Scotland. 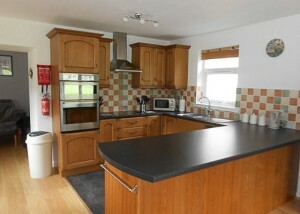 or give us a call on 01776 707010.